Taking You To Philadelphia, Pennsylvania. 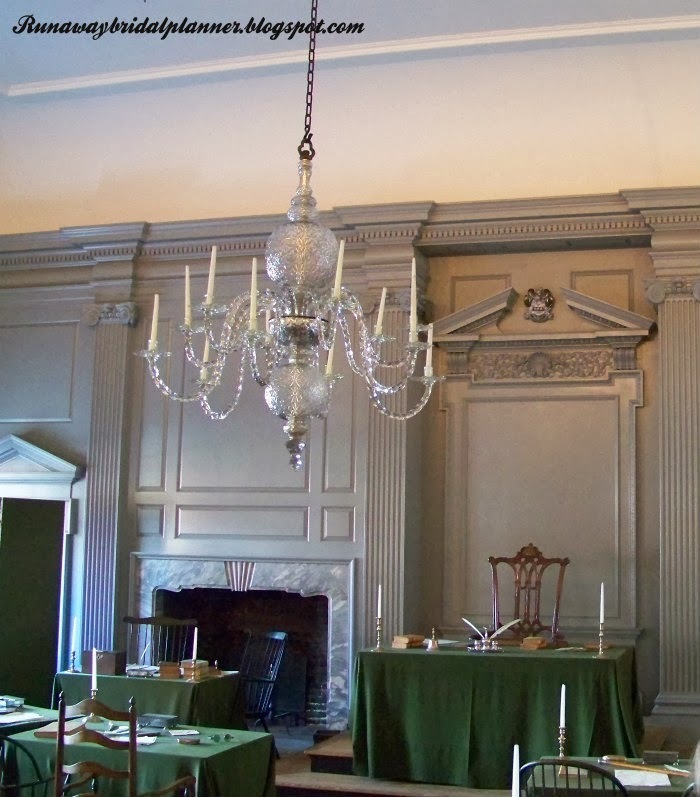 If you love the history of the United States, then you will definitely want to add Philadelphia to your list of travels to see one day. Rich in history and home to some of the most famous sights. This is actually a place you can see everything in one long day, however you might enjoy it more if you have 2 or more. 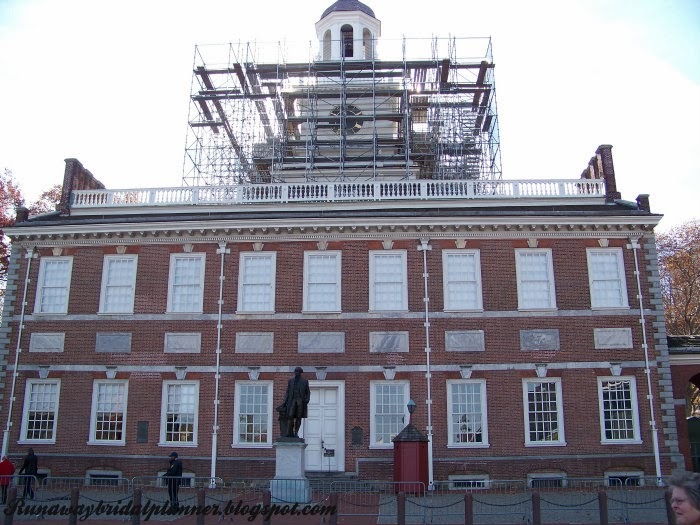 Right in the center of this Historic National Park is Independence Hall. You'll have to get your tickets beforehand however, they are free (or were:). 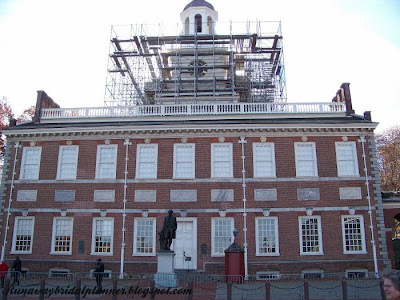 Here you'll get to see the actual birthplace of the Declaration of Independence and the United States Constitution. The tours won't take you into every single room, but they will take you in and show you exactly where things happened, and explain the history and architecture of the building. Next door you'll find Congress Hall and Old City Hall. 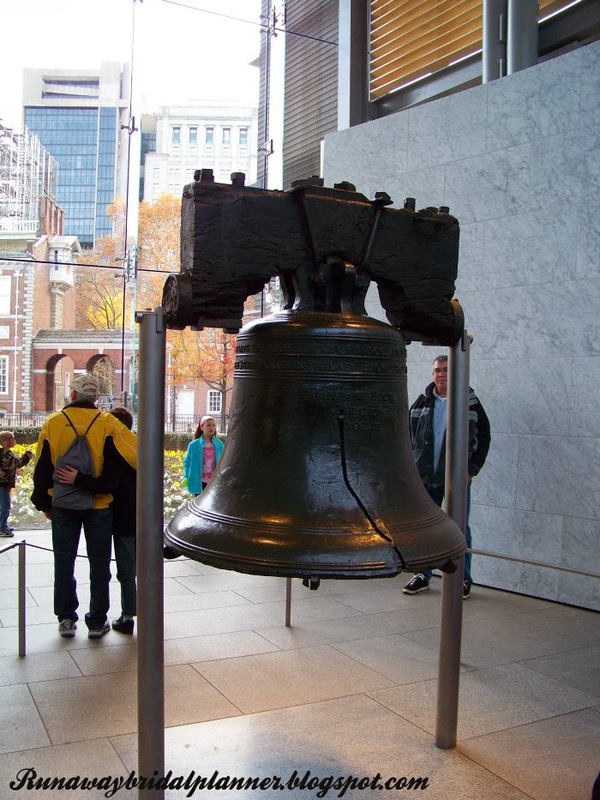 Next, walk on over to the famous Liberty Bell, one of America's iconic symbols of Independence. Learn about the bell's history and the myths of when the bell really rang, and the rich history surrounding the famous crack in the bell. If you don't mind a tad bit of a walk, you can go and visit Betsy Ross House, the birthplace of the American Flag. Tour her home, learn about Betsy herself and her life and how the idea for the first stars and stripes originated. 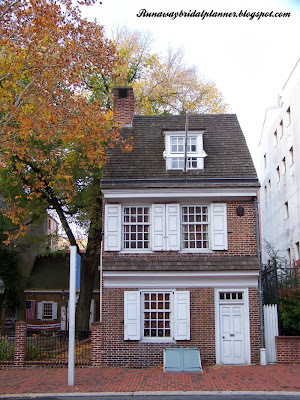 Pictured above is the outside of the Betsy Ross house. Philadelphia's buildings are unique in themselves. I apologize for the bad picture quality, (It was late at night, and I was exhausted after running a marathon:) when I took them.) 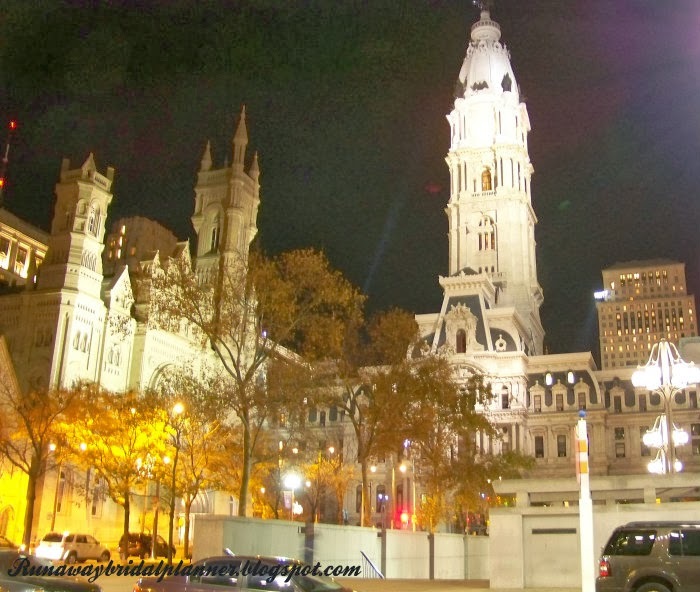 Pictured to the left is the Masonic Temple and next to it the beautiful Philadelphia City Hall. 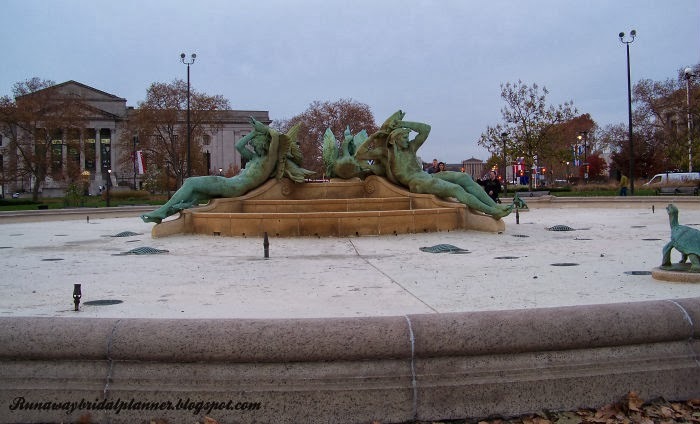 As you travel down the Benjamin Franklin Parkway and Eakins Oval, you'll get to see a few fun sights and statues like these. Above is one of the fountains - Sorry I went in late fall so the fountain wasn't running. 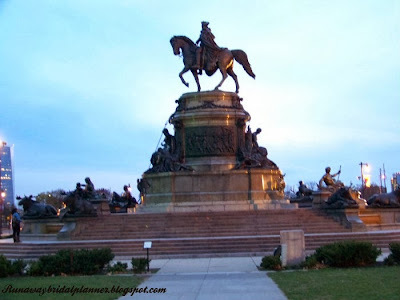 The below picture is the Washington Monument, uniformed George Washington on his horse. 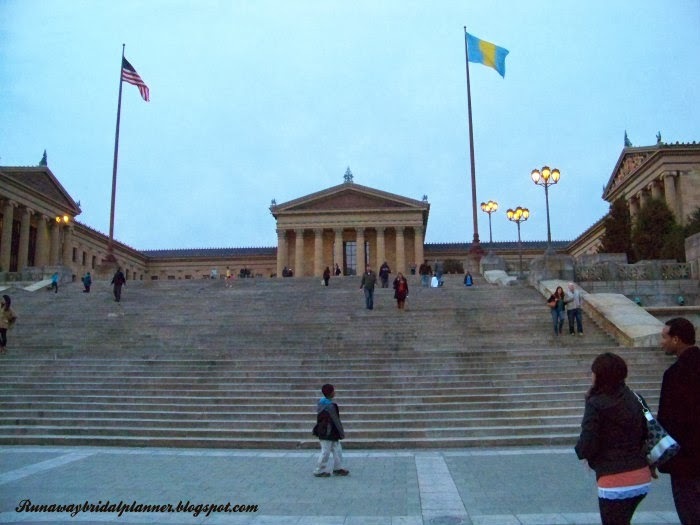 The famous 72 steps leading up to the Philadelphia Museum of Art. For those of you who remember the "Rocky" movies with Sylvester Stallone. These are the steps he runs up in the movies, with the famous song "Gonna Fly Now". If you are like me, you'll want to mimic the running of these steps. 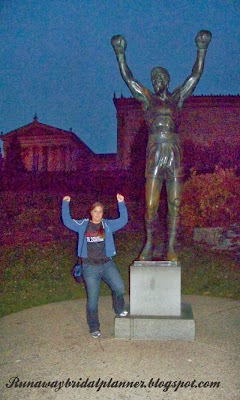 and make the famous Rocky Pose with your hands up in a cheer when you get to the top. Ignore, the haggard look on me. I had run the Philadelphia Marathon, and went from the race, to the shower and then walked downtown back to the museum so I could run up those steps and then have my picture taken:) Yes, just because I run a marathon, doesn't mean I just go lay down, if I am on vacation I will still go see the sights!!! Additionally, while you are out sightseeing make sure to stop and grab a famous Philly cheese-steak sandwich! I found a fabulous little sandwich shop near Independence Hall, because I asked a local where the best place to get one was. I highly recommend just asking the locals! After I ask them where the best place to get something is, then I ask "Have you ate there? Would you?" If they hesitate, I'll ask someone else. But if they jump with a yes immediately, I have found I can usually fully trust their recommendation:) That's my little travel eating tip for you!!! * Most of the places, I found to be free but I did have to reserve timed tickets beforehand. 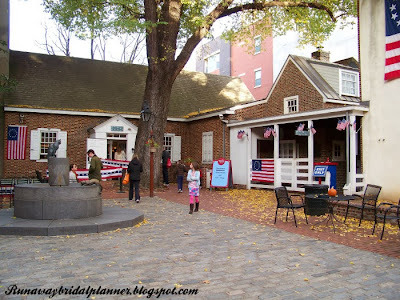 * The Betsy Ross house did have a small fee. * Personally I found it easy to just park my car near Independence Hall, in an underground parking garage and walk to all of the places in the National Historic Park. * As for the museum, and Elkins Oval, I found it easier once I was in my hotel downtown to just walk everywhere. However, if you prefer to drive for a large city its quite easy to find your way around and I personally didn't think traffic was all that bad! * If you enjoy marathon's the Philadelphia marathon takes you around all of these attractions by foot. You can also read my marathon review by visiting HERE. Love all your pictures. I would like to run a marathon in PA next year. Thanks for sharing. PA is a great state, I have traveled all over it! You'll love any race you pick there!!! But if you're still looking the Philadelphia Marathon is a great one!!! Love your Travel Tuesday posts!! :) I've never been to Philly, but should definitely head there someday. Great review and photos! I worked at Independence National Historical Site years ago and these pictures made me a little homesick! Oh that would have been such a fun area to work in!